President Emmanuel Macron of France on Tuesday caved in to demands by angry “yellow vest” protesters by suspending fuel tax hikes in an attempt to quell fresh violent demonstrations. 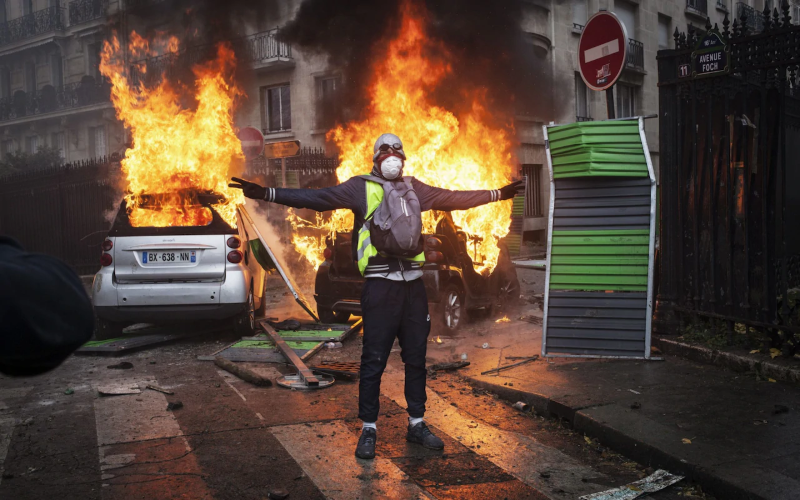 With pressure mounting avoid a re-run of the violence next Saturday, Edouard Philippe, the prime minister, announced a string of conciliatory measures just days after the president insisted he would not change course. “A tax must not endanger the unity of a nation,” Mr Philippe told MPs.